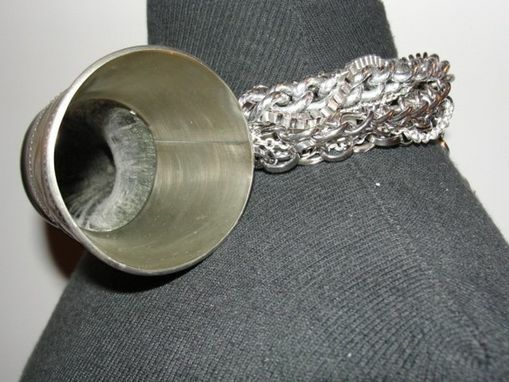 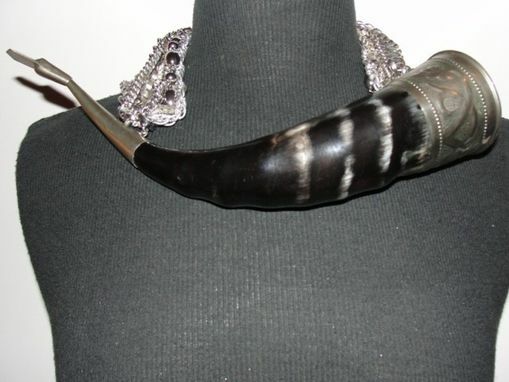 Made from vintage silvertone aluminum chains, pot metal chains, white metal, and a shofar or cow horn. 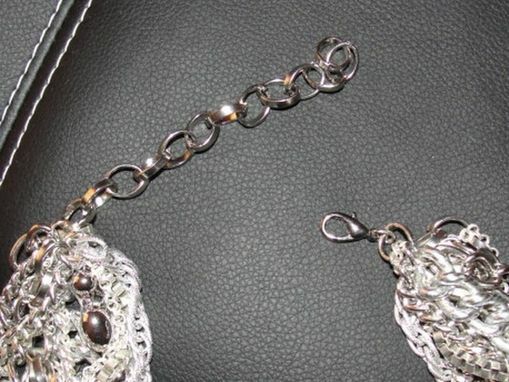 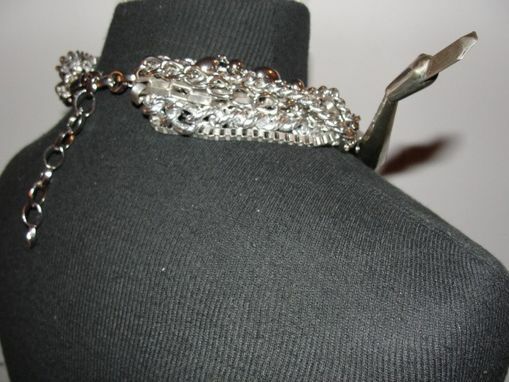 Thanks to the aluminum chains this piece is light weight and easy to wear. 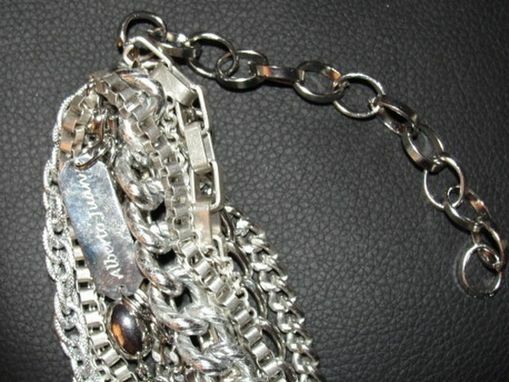 Took about two weeks to gather the pieces and 3 hours to put it together.